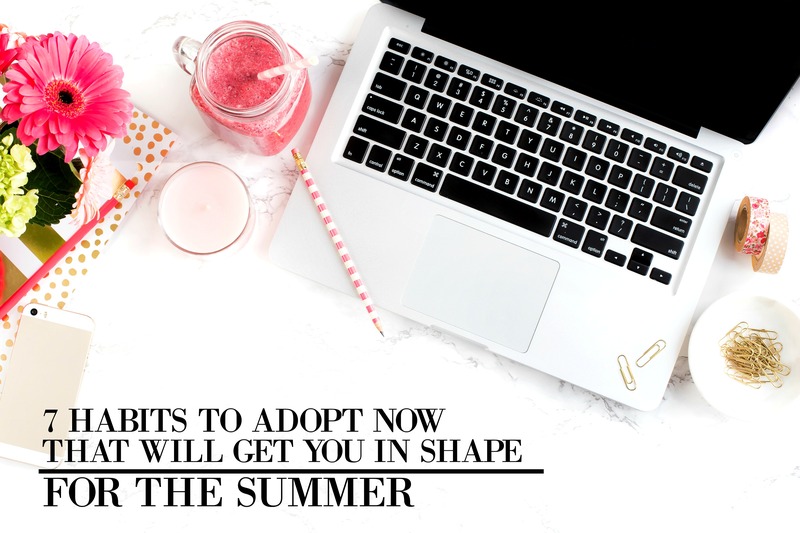 In a couple months, summer will officially arrive, and wouldn’t it be great to greet it as your most confident and fittest self? Imagine yourself wearing whatever you want and feeling proud of your body, or going to the beach or a pool party without feeling stressed out about the idea of wearing a bikini. Whether you’ve got some pounds to lose or just want to look healthier and more toned, the best time to start taking better care of your body is now! You don’t need to starve yourself or do anything ridiculous. Just adopt these 7 habits, one or two at a time, and you’ll start to notice how you feel lighter and more energetic, effortlessly. Start your morning with this spicy lemonade. Made of two cups of water, freshly squeezed lemon juice (from half a lemon), quarter teaspoon powdered cayenne pepper, and one teaspoon of turmeric powder. You may have heard about the Master Cleanse, an extreme detox diet made popular by Beyonce after she lost 20 pounds on it. Although substituting all food for lemonade made with maple syrup and cayenne pepper is neither healthy nor sustainable, we can glean the benefits from this crazy diet. Cayenne pepper has been proven to boost metabolism and regulate blood sugar levels, while lemon juice improves digestion, supports detoxification and aids weight loss. To make this lemonade even more effective, add turmeric, which is known for many of its anti-inflammatory, anti-oxidant, and even anti-cancer properties. Green smoothie is a perfect meal for breakfast if you want to get in shape, have lots of energy and glowing skin. It’s very filling, delicious, and contains a variety of much needed nutrients: vitamins, alkaline minerals, antioxidants, phytonutrients, chlorophyll, and other compounds that are essential for good health. In order to make a simply smoothie you need only three ingredients: frozen or fresh fruit like bananas, green leafy vegetables like spinach or kale, and water or non-diary milk. Since there’s so much contradictory information about exercise, it’s very easy to get lost and confused about what and how much you should do. However, don’t allow the confusion to make you stay on a couch! Simply commit to moving your body 1 hour a day. It could be anything from just walking, dancing, yoga, exercise classes, running, or high intensity interval training. Consistency is key and it’s what makes all the difference! Adding fiber and nutrient-rich greens to any of your dishes will help you feel fuller and reduce the risk of overeating. But most importantly, it will provide your body with minerals and antioxidants that are essential to support healthy cell functions, including the metabolism. And chances are – the more greens you will eat, the more you’ll grow to like and crave them. Practice intermittent fasting for at least 14 hours, meaning that if you plan to eat breakfast at 8am, you should finish your dinner by 6pm at the latest. Studies show it helps balance blood sugar levels, prevent degenerative disease and burn fat. Stress and anxiety are some of the main reasons for emotional eating and not being able to stick to healthy habits. It’s so common for people to start a new diet, an exercise routine, and feel amazing until… something unexpected happens or they get too busy and overwhelmed, and that throws them off the wagon. While it’s impossible to prevent challenging situations in life, you can definitely control how you respond to them. One of the ways to keep your cool is to have a regular mindfulness practice, such as meditation. Besides reducing stress, meditation has been proven to improve your immune system, brain health, productivity, and memory. Contrary to popular belief, eating lots of small meals per day does not help boost your metabolism or lose weight and has been debunked by science. Unless you’re training really hard, you risk overeating, or your meals will be so small they will leave you feeling hungry and unsatisfied. Instead, get into the habit of eating 2-3 normal size meals a day. It may sound crazy, but the practice of visualizing the desired result has been shown to be so effective that even Olympic athletes and NBA players use it to improve their performance. To get the most out of visualization, close your eyes and picture, in your mind’s eye, how you’d like to look – whether it’s the body you used to have in the past or simply based on your imagination. The next step is to visualize yourself as if you already have this body; try to put in as much emotion as possible. Practice this for 1-5 minutes every night before going to sleep, and it will reprogram your subconscious to help you make different lifestyle choices. If you want to shed pounds, achieve your ideal weight and be proud of your body this summer, then now is the time to start. Implement these effective tips and get ready to hear lots of compliments!